Blockchain is more - much more - than Bitcoin. Jonathan Wilkins, Marketing Director at EU Automation explains how blockchain can automate a range of business processes. Blockchain was invented in 2008 by Satoshi Nakamato. He is thought to be a man living in Japan, born in 1975, but there remains speculation about the inventor's true identity. The technology was intended as a digital ledger for the cryptocurrency Bitcoin. Its success led to the use of the technology to automate a range of processes, from asset traceability to accountancy. But, according to IDG Connect, only 13 per cent of IT leaders have a plan to use blockchain. Blockchain adds to the automation capabilities that Industry 4.0 has already provided. For example, most manufacturers have started to integrate components such as smart sensors and programmable logic controllers (PLCs), which allow them to automate equipment maintenance. 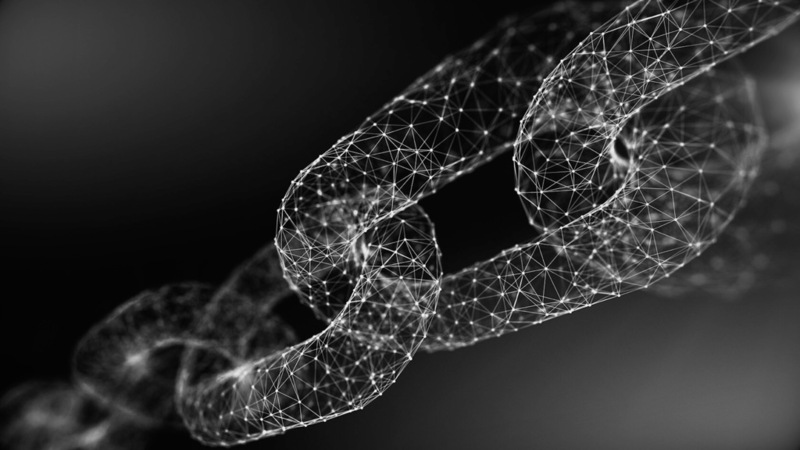 Plants can now add blockchain between the Enterprise Resource Planning (ERP) software and the parts supplier, so that machines can autonomously place orders for their own replacement, before they break. Businesses still using paper-based records should transfer them directly to blockchain to reduce the risk of data being lost or damaged. Many companies still use paper-based legal contracts, but with blockchain, they can produce smart contracts that automatically execute when certain conditions are met. Ethereum is an example of a platform that runs smart contracts using blockchain. It manages the release of assets to the owner using predetermined conditions to prove their ownership. As well as automating individual business processes, blockchain dramatically improves the ability of companies to safely share information. When a document is shared on a blockchain, a block is created that attaches to previous blocks, forming a visible chain. This allows for advanced supply chain traceability and means businesses can rapidly detect and address problems. For example, if a manufacturer that uses blockchain needs to initiate a product recall, every product can be identified, located and quickly recalled. It's efficient and secure. Blockchain could also help to reduce the amount of greenhouse gases that organisations emit. Approximately 1,000 industrial plants and power stations in the UK are covered by the Emissions Trading System (ETS). They are issued a limited number of carbon credits by government. If they do not use all their carbon credits, they can trade them to other companies. IBM and Energy Blockchain Labs are developing a blockchain marketplace to increase the visibility and traceability of carbon credit trading. Despite the increased clarity and visibility of records that blockchain allows, it is also seen as a safer means of digital information transmission than the alternatives. An April 2018 Cyber Security Breaches Survey found that over four in ten UK businesses suffered a cyber-breach or attack in the previous twelve months. As more devices become connected across the Industrial Internet of Things (IIoT), cyber security will become a bigger concern. Blockchain is extremely tamper-resistant: by the time a hacker has hacked into a block, multiple new blocks have been created. Alex Tapscott, CEO and founder of Northwest Passage Ventures, explained, "You wouldn't just have to hack one system, you'd have to hack every single computer on that network." Blockchain uses a powerful cryptography that gives individuals ownership of their own data, reducing the risk of identity fraud. In addition, the technology uses long cryptographic keys that work in a similar way to long, complex passwords, making accounts challenging for hackers to access. While he keeps his identity private, the so-called Satoshi Nakamato is probably astonished by the vast benefits that his invention can bring to organisations across all industries. In coming years, we can expect to see many more applications for blockchain, including some that may not have been considered yet. To explore more about blockchain and how it could be used by your orgaisation, why not Register Free here for Blockchain X 2019?